Model 5E1 gained extra high voltage filtering including a filter choke. A negative feedback loop was also added. Model 5F1 had had the filter choke removed from the circuit. I will email you for more details. what is the difference between a 1amp and 2amp Champ 5F1? Does one have more power than the other? Does one break up sooner than the other?is one more desirable than the other as far as tone? 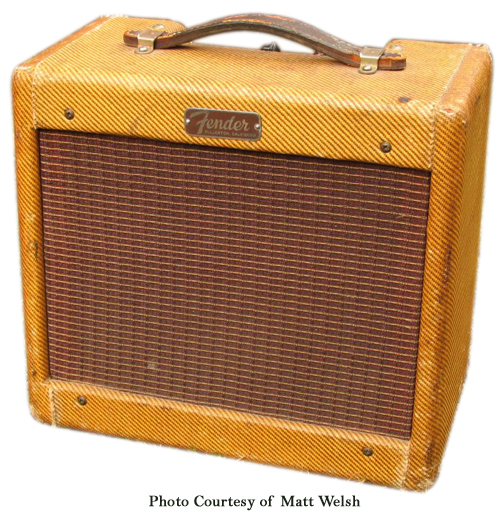 Is there such thing as a tweed champ with a serial number as high as c 21000 ?